Is a frozen yogurt after 9:30 at night too much to ask from a $750 million multiuse development? There’s only one rule for date night with my husband: no chain restaurants. So I was a little disappointed on a recent Saturday when we had date night at Park Lane, the multiuse development across from NorthPark Center. Billed as an “urban village,” Park Lane covers 34 acres and cost $750 million to build. Its marketing materials boast that it “offers a unique urban experience and an unbeatable variety of options to the consumer.” But there were only two options for dinner: Gordon Biersch, an upscale bar with multiple locations, or Bailey’s Prime Plus, a restaurant a certain reviewer said she didn’t like because the owner cares more “about the atmosphere than the food or service.” So Gordon Biersch it was. The entrance to the development from the Central Expressway access road is a parking garage, which doesn’t do much in the way of setting the mood. Inside, at street level, we stood hand in hand in the center of the development, watching a dozen or so shoppers meander around the few open stores (Nordstrom Rack, the plus-size clothier Lane Bryant). Most storefronts, though, were darkened with hopeful signs exclaiming square footage. The place felt like a movie set still under construction. 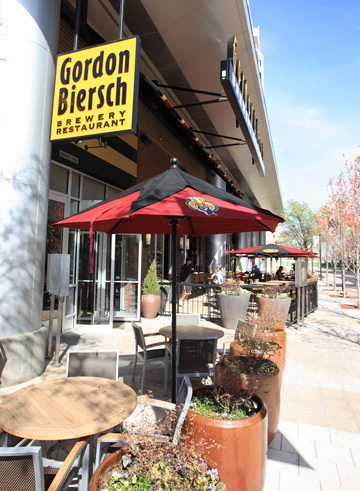 We didn’t have a reservation at Gordon Biersch, but we didn’t need one. We were seated immediately and had a pleasant meal. Afterward, around 9:30, we headed out for a frozen yogurt. Streetlamps cast pools of light on the dark, empty streets. We were the only strollers out. And when we made our way to FreshBerry Frozen Yogurt, we found it had already closed. Undeterred, my husband and I climbed into our car and drove to Uptown. It was like entering another world. People of all shapes and sizes were out enjoying the evening. We ran into friends at the froyo shop and spent the evening catching up. The energy was enough to keep us early birds out for several hours. Driving home, we made plans to have date night in West Village. I’ve now spent several afternoons at Park Lane. I got a pedicure at the Aveda Institute and found a deal on a dress at Saks Fifth Avenue Off Fifth. But each time I’ve left, I’ve felt the way I did after that first date night visit. Something is just not clicking. It all seems so isolated—like it’s its own city. Eliot Barnett, managing partner of Park Lane’s developer, Harvest Partners, says that’s the idea. “From the very beginning, we realized that with the FAR [floor area ratio] on the side of about 2.9 million square feet, in order to maintain that kind of density, the project was going to have to be internalized,” he says. “So you purposely turned your back on NorthPark?” I ask. 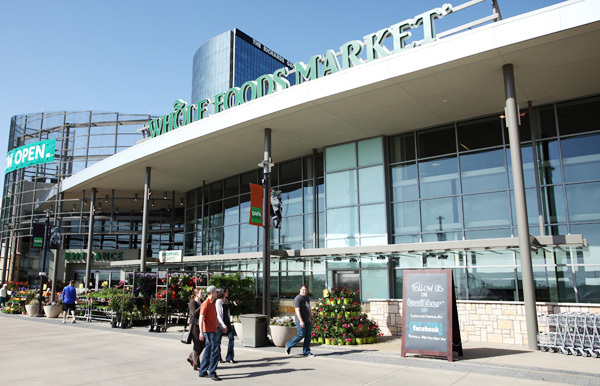 The times I’ve visited Whole Foods, it has been crowded, much like its Dallas siblings. The bustle in that part of the development feels like they’ve gotten something right, but it’s just a grocery store. It can go only so far in sustaining Park Lane. When Bryant Nail, senior development officer with PM Realty Group, started leasing units in the Heights at Park Lane, he had a great hook: lease with him and get a free membership in the new 76,000-square-foot Sports Club/LA. The deal cratered though, leaving the Heights without a gym. For people like chef Kent Rathbun, who’s moved his family to a penthouse while his new house is being built, that was a problem. The company cleared out storage lockers from a 2,000-square-foot room and stocked it with exercise equipment. The view from the gym isn’t spectacular, and it’s not the most impressive facility, but for the residents, it will do. For now. They aren’t having to fight each other for treadmills. Nail says the Heights’ 325 units are almost 70 percent leased. Barnett did say that about a dozen restaurants have pulled out. But he’s not worried. “We’re located across from NorthPark, which was the main reason we wanted to do it in the first place. This project will lease out faster than anything else in the Metroplex,” he says. Kennedy hopes he’s wrong. I do, too. Because the marketing materials for Park Lane really do make it sound like a great place for date night.